Salman Khan's Tubelight failed to delight the audience, but the star is still positive and praises the critics for their ratings! After reports began circulating the media about Tubelight failing to impress the audience and making around Rs. 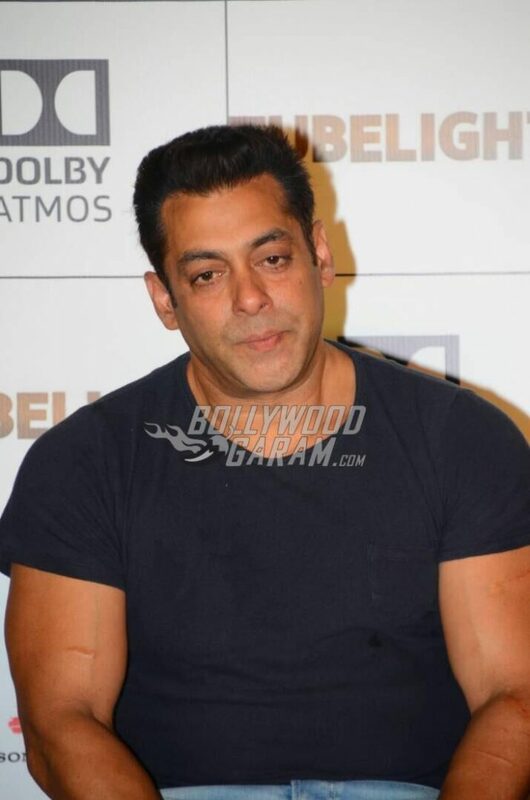 21.5 crore for opening night, Salman Khan is the man we want answers from. Any actor of such high importance in the industry would have a lot of responsibility resting on his shoulders for the success of his film. Also, according to tradition, Tubelight released on the Eid weekend, which meant that true Salman fans would have made it to theatres in the country in support of their favorite star. They didn’t. The 51 year old actor continued, “As it is an Eid release, people have preconceived notions. They have gone to watch a certain film, but are getting to watch another one. This one’s emotional.” And when prodded about whether he is secretly miffed about the performance of his film, he brushes it aside. “I am not bothered,” comes the reply. Tubelight was promoted on a number of popular platforms and received positive reviews from fans who watched the theatrical trailers and were happy about the innocent transition of Bhajrangi Bhaijaan. However, the numbers at the box office fall short of the enthusiasm of the audience. Tubelight released this past Friday, coinciding with the extended weekend for Eid. Previous articlePHOTOS - Misha Kapoor accompanies daddy Shahid Kapoor to the gym!